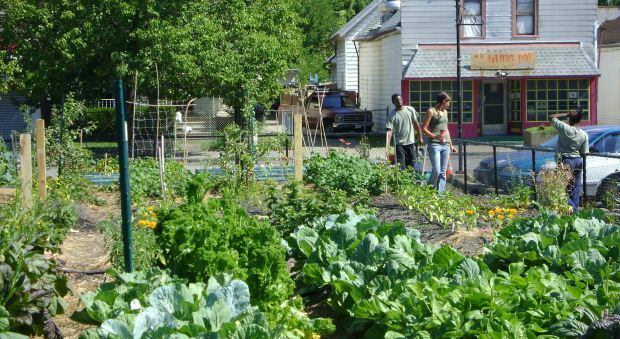 The local food movement topic--all the topics our prior posts have highlighted (history, policy, community ramifications, etc.) --constitute a strong personal research interest of mine, and even more (especially since my research time is strictly limited!) a strong personal interest, full stop. Personal engagement plus research/professional interest clearly both factor for all of us in this workshop. Doubtless also common amongst us is the draw of the topic's close framing in action-potential--its focus on historians as kinetic actors. From the initial description: "This Working Group is based on the premise that the methods and critical insights of public historians are crucial in uncovering and communicating those more nuanced histories, and that doing so is an outstanding way to link our own methods and values with vital public dialogue about a wide range of environmental and economic issues." Also in the original description (I think that's where): "developing or amplifying a historical and theoretical framework for thinking about the public history/food movement nexus and the opportunities for partnerships to extend civic dialogue and action in these realms." 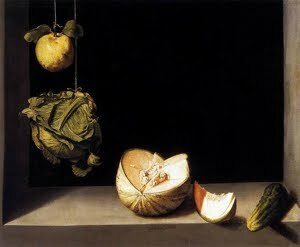 And as Cathy wrote this weekend, our posts show "that we're all groping toward defining a specific role for ourselves and our skills as public historians who want to strengthen efforts and discourses around local food while asserting the value of the kind of careful, contextualized knowledge that historians can help to build." For our in-person time, I’m interested in exploring ways we may want to move on helping define and implement specific roles for public historians within these food-related settings, how we might pull these into action, including perhaps through some form of practice-oriented trainings. My work at Smithsonian-Mason School of Conservation (SMSC) centers on developing and implementing practice-oriented graduate and professional training courses in conservation science and related human dimensions. These are typically offered in three-day, one-week, or two-week intensive residential sessions. I’d be very motivated to consider the potential of developing local-food-history-related (however that shakes out, whatever it means) trainings here at SCBI/SMSC, and of formal and informal collaborations for this purpose. The Shenanadoah Valley of Virginia and the Chesapeake Bay watershed are promising settings for such topics. We already have some networks developed through other SCBI programs, particularly our Virginia Working Landscapes program. I’ve worked with local farmers and instructors to provide instruction and programming about local farming/food systems to our undergraduate Semester and soon will be launching, with the University of Virginia’s Institute for Environmental Negotiation, a set of short courses focused on conservation collaborations and leadership in the Chesapeake Bay watershed, several of which will concern, centrally or more tangentially, agriculture-related topics. Current SMSC course listings are found here. For more background about the program and its antecedents at the Smithsonian Conservation Biology Institute (SCBI) (located in Front Royal, Virginia, USA), you may be interested in an article I wrote for the Nov/Dec 2012 Zoogoer Magazine (pp. 16-19 in the linked PDF). In somewhat random closing, a highly kinetic image I gleaned last week from Geri Unger, Director of Education at the Cleveland Botanical Garden, who describes her institution’s Green Corps--urban high school kids farming city plots--as involving three chaos systems: high school-age kids, our US agriculture system, and urban poverty. She also described the transformative power a project like Green Corps offers to help bring order out of chaos, for the students, the community and the ecology of vacant properties. Some green Corps pictures here. And an article about Green Corps. Looking forward to seeing you all very soon, and apologies for tax-time induced late posting. accomodations in TuscanyTuscany farmhouses; Selection of the best accommodations in Tuscany such as farmhouses (farm holidays), holiday apartments, villas, hotels and bed and breakfasts in Tuscany area.